Goals of protection and access are shared by all and are a "tribute to Utah and the pioneer spirit," interior secretary says after a three-day visit. 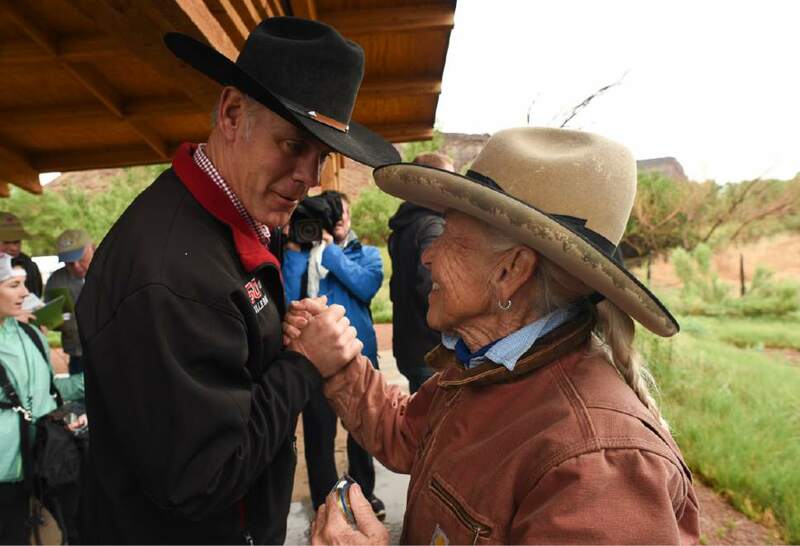 Francisco Kjolseth | The Salt Lake Tribune Interior Secretary Ryan Zinke thanks Heidi Redd during a visit to her historic Dugout Ranch along Indian Creek, where she runs it under a conservation easement with the Nature Conservancy. Secretary Zinke is continuing his four-day Utah tour on Tuesday, May 9, 2017, of Bears Ears and Grand Staircase-Escalante National Monuments. U.S. 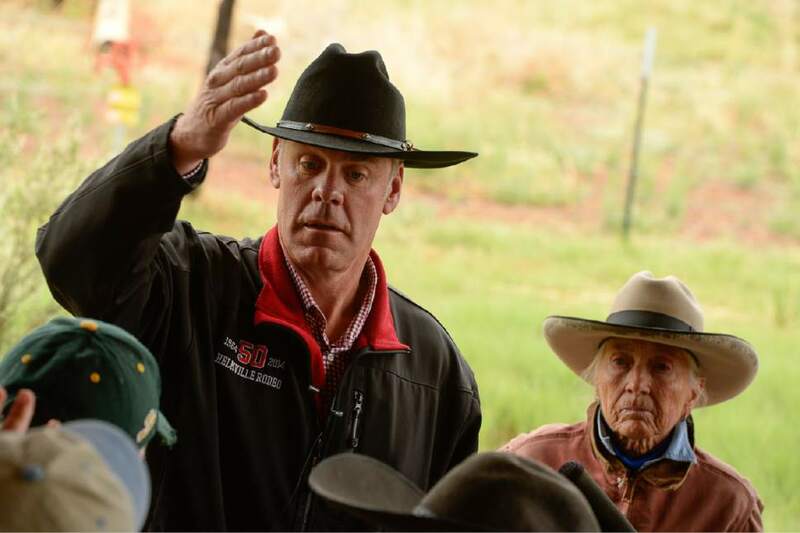 Interior Secretary Ryan Zinke, center, thanks Heidi Reed during his visit to historic Dugout Ranch along Indian Creek near Monticello, Utah, operated by Redd, under a conservation easement with the Nature Conservancy. Zinke's is touring two monuments in Utah this week as part of a review ordered by President Donald Trump of 27 monuments to determine if they were properly designated. 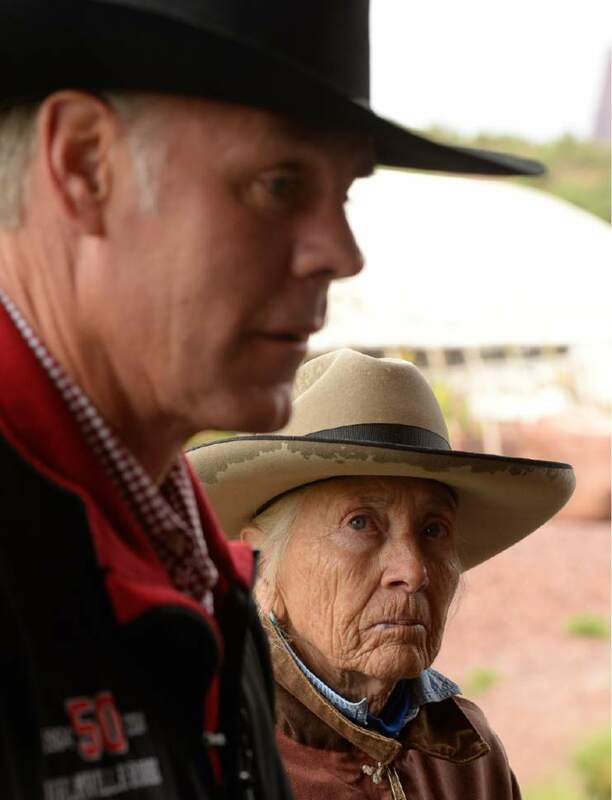 (Francisco Kjolseth/The Salt Lake Tribune via AP) Francisco Kjolseth | The Salt Lake Tribune Heidi Redd hosts a visit by Interior Secretary Ryan Zinke to her historic Dugout Ranch along Indian Creek, operated, under a conservation easement with the Nature Conservancy. Secretary Zinke is continuing his four-day Utah tour on Tuesday, May 9, 2017, of Bears Ears and Grand Staircase-Escalante National Monuments. 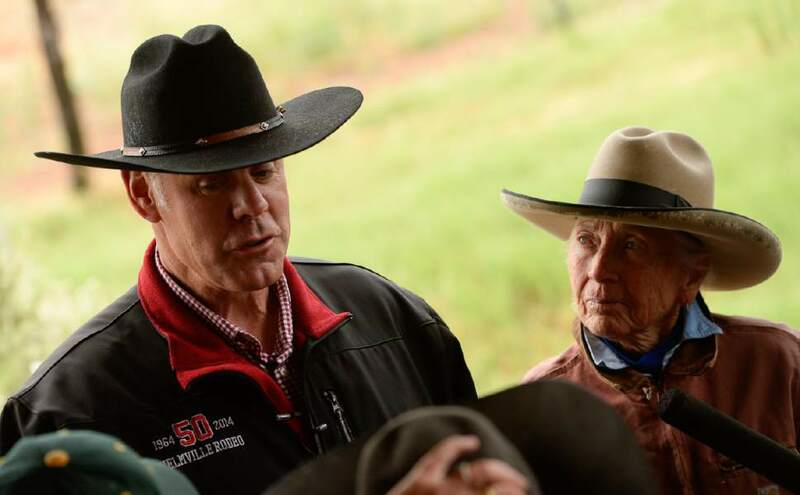 Francisco Kjolseth | The Salt Lake Tribune Interior Secretary Ryan Zinke speaks with the media as he visits historic Dugout Ranch along Indian Creek, operated by Heidi Redd, at right, under a conservation easement with the Nature Conservancy. Secretary Zinke is continuing his four-day Utah tour on Tuesday, May 9, 2017, of Bears Ears and Grand Staircase-Escalante National Monuments. Francisco Kjolseth | The Salt Lake Tribune Interior Secretary Ryan Zinke speaks with the media as he visits historic Dugout Ranch along Indian Creek, operated by Heidi Redd, at right, under a conservation easement with the Nature Conservancy. Secretary Zinke is continuing his four-day Utah tour on Tuesday, May 9, 2017, of Bears Ears and Grand Staircase-Escalante National Monuments. 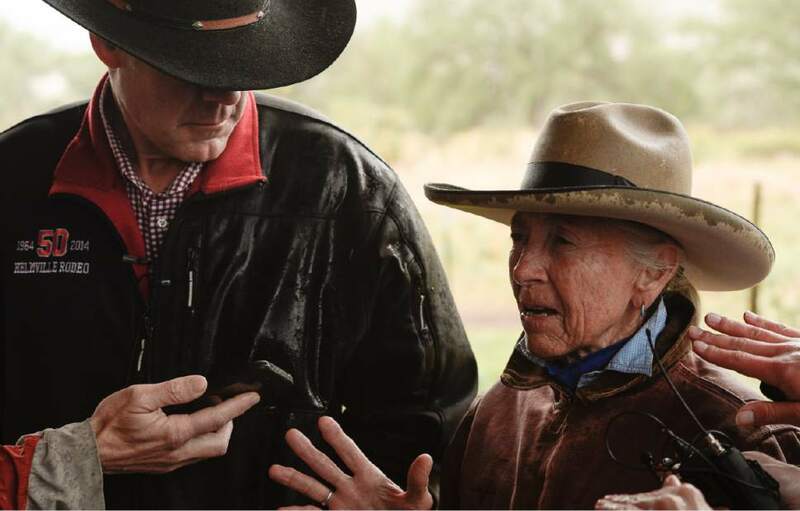 Francisco Kjolseth | The Salt Lake Tribune Interior Secretary Ryan Zinke visits historic Dugout Ranch along Indian Creek, operated by Heidi Redd, at right, under a conservation easement with the Nature Conservancy. Secretary Zinke is continuing his four-day Utah tour on Tuesday, May 9, 2017, of Bears Ears and Grand Staircase-Escalante National Monuments. 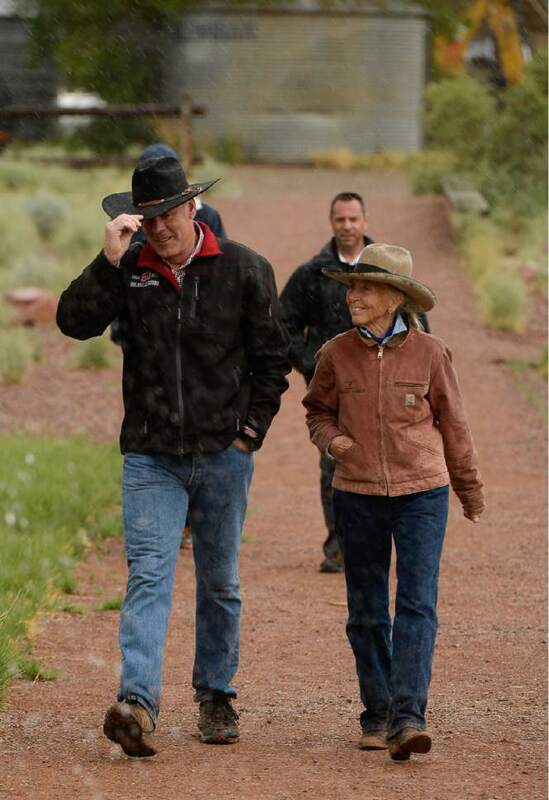 Francisco Kjolseth | The Salt Lake Tribune Interior Secretary Ryan Zinke visits historic Dugout Ranch along Indian Creek, operated by Heidi Redd, at right, under a conservation easement with the Nature Conservancy. Secretary Zinke is continuing his four-day Utah tour on Tuesday, May 9, 2017, of Bears Ears and Grand Staircase-Escalante National Monuments. Francisco Kjolseth | The Salt Lake Tribune Interior Secretary Ryan Zinke visits historic Dugout Ranch along Indian Creek, operated by Heidi Redd, at right, under a conservation easement with the Nature Conservancy. Secretary Zinke is continuing his four-day Utah tour on Tuesday, May 9, 2017, of Bears Ears and Grand Staircase-Escalante National Monuments. 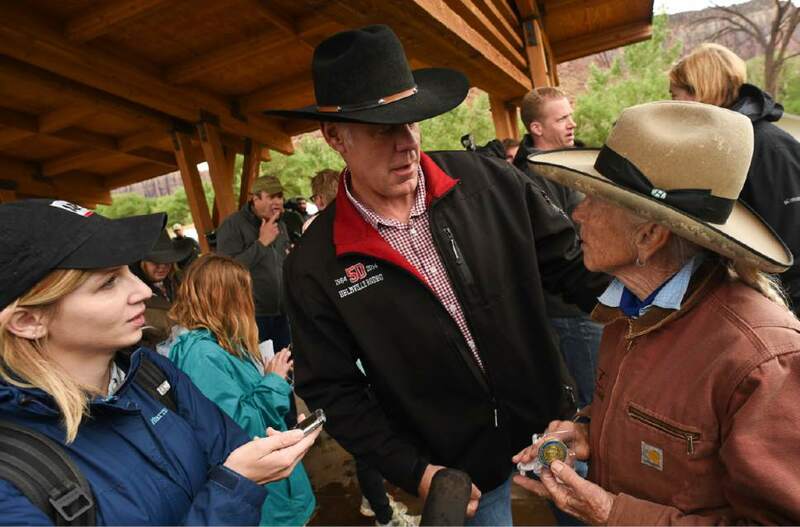 Francisco Kjolseth | The Salt Lake Tribune Heidi Redd hosts a visit by Interior Secretary Ryan Zinke to her historic Dugout Ranch along Indian Creek, operated, under a conservation easement with the Nature Conservancy. Secretary Zinke is continuing his four-day Utah tour on Tuesday, May 9, 2017, of Bears Ears and Grand Staircase-Escalante National Monuments. Francisco Kjolseth | The Salt Lake Tribune Interior Secretary Ryan Zinke visits historic Dugout Ranch along Indian Creek, operated by Heidi Redd, at right, under a conservation easement with the Nature Conservancy. Secretary Zinke is continuing his four-day Utah tour on Tuesday, May 9, 2017, of Bears Ears and Grand Staircase-Escalante National Monuments. Francisco Kjolseth | The Salt Lake Tribune Interior Secretary Ryan Zinke visits historic Dugout Ranch along Indian Creek, operated by Heidi Redd, at right, under a conservation easement with the Nature Conservancy. Secretary Zinke is continuing his four-day Utah tour on Tuesday, May 9, 2017, of Bears Ears and Grand Staircase-Escalante National Monuments. 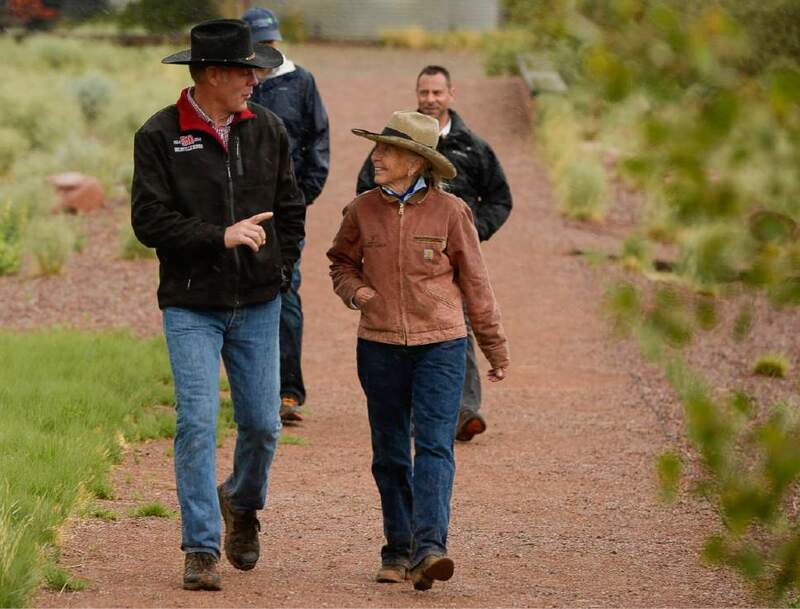 Francisco Kjolseth | The Salt Lake Tribune Heidi Redd hosts a visit by Interior Secretary Ryan Zinke to her historic Dugout Ranch along Indian Creek, operated, under a conservation easement with the Nature Conservancy. Secretary Zinke is continuing his four-day Utah tour on Tuesday, May 9, 2017, of Bears Ears and Grand Staircase-Escalante National Monuments. Indian Creek, San Juan County • After three days in Utah, Interior Secretary Ryan Zinke is more confident than ever that he can forge a resolution to the state&apos;s divisive fight over Bears Ears National Monument. 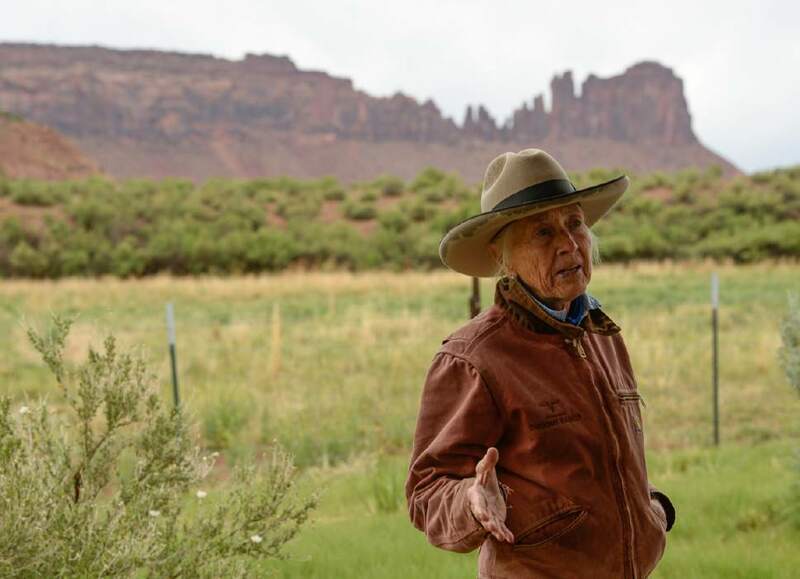 His visit documented a clear consensus on how Utahns value these archaeologically rich lands around Cedar Mesa, he told reporters Tuesday. "The priorities are remarkably similar. Everybody is talking about protection of the cultural resources. 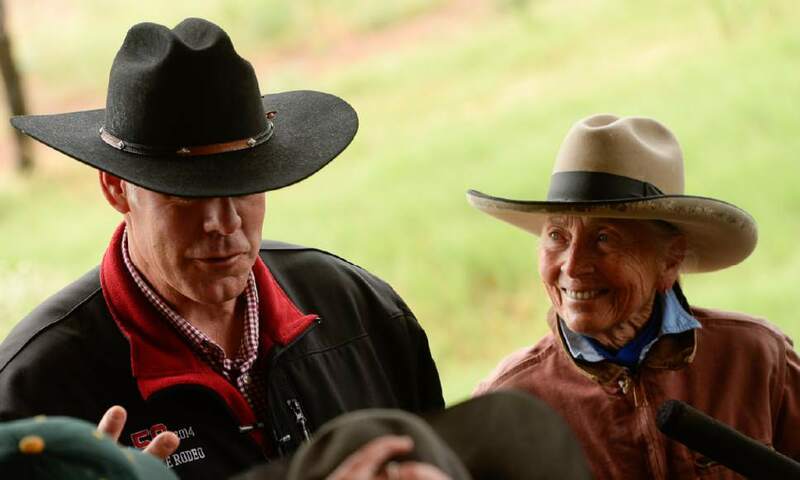 Everybody is talking about making sure we have public access," Zinke said during a wet and windy stop at the historic Dugout Ranch. "I am optimistic given that the things we have in common on all sides is great. It&apos;s a tribute to Utah and the pioneer spirit." 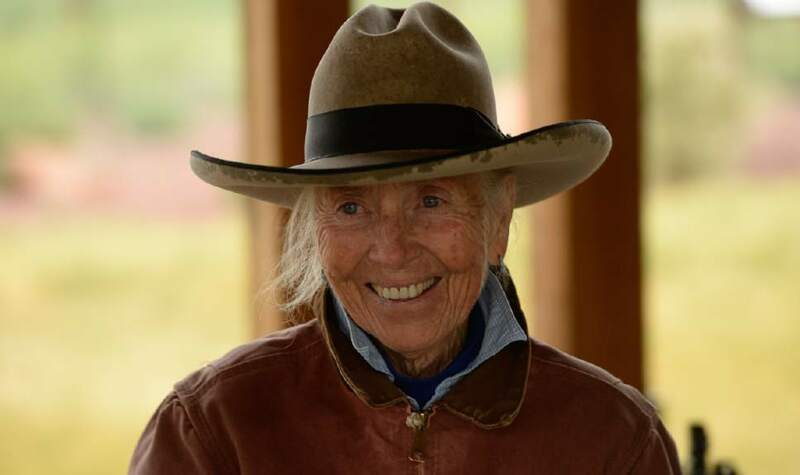 Managed by The Nature Conservancy, the 5,200-acre ranch runs cattle in Indian Creek, a world-renowned crack climbing area now inside the Bears Ears National Monument. President Donald Trump has ordered his Interior chief to investigate whether the 1.35-million-acre monument was appropriately designated and make recommendations by June 10 on adjusting its boundaries or even erasing them altogether. The Dugout&apos;s grazing allotments cover the northern quarter of the new monument and owner Heidi Redd&apos;s acreage represents the largest private inholding. "The spirit of all these lands needs our help and our protection," she said. "Hopefully moving forward, all of us will heal the spirit together and move together. The acrimony and the problems we&apos;ve had with one another will be resolved and we will come back to the important things, protection of the land and the spirits that live here." Designated in the waning weeks of President Barack Obama&apos;s tenure, the new monument has become a proxy for Utah&apos;s struggle over public lands, pitting the state&apos;s political leaders and rural communities against those who want Utah&apos;s scenic areas shielded from resource extraction and excessive motorized use. Many local residents blast the monument designation as selling out Bears Ears to outdoor recreation interests, sacrificing the region on the altar of "industrial tourism." Although many rural leaders say federal land management victimizes their counties and undermines their customs and culture, Zinke characterized public lands as a blessing that should not be a partisan issue. But he acknowledged there is plenty of fence-mending to do, and figures whatever he recommends will lead to lawsuits. "The view from the Potomac is a lot different than from the view of the Colorado. And that&apos;s part of the problem and why the West is a little angry and distrustful," said the former Montana congressman, who grew up exploring the national forests outside Glacier National Park. "The president has made it clear he wants to listen to local communities and the state. My job is to be an advocate, nice, helpful, friendly. We want to be the yep department and diffuse some of the anger." Although Trump has dismissed concerns about climate change, Zinke affirmed his belief that greenhouse gas emissions are warming the atmosphere. He suggested a change in course is in order, but said it should not be directed by political agendas. "I am a geologist. I like science. We should manage on the basis of science," he said. "The climate is changing in ways we don&apos;t understand. None of the predictive models are accurate. Man has had an influence. That is indisputable. Man has had an influence not just on CO2 [emissions]. Man has done a lot of things not right." He was to complete his Bears Ears tour Tuesday with a hike near the monument&apos;s namesake buttes before driving to Kanab to review Grand Staircase-Escalante National Monument. The Utah monuments are the first of 27 large monuments Trump has instructed Zinke to investigate over the next four months. During his Utah tour, Zinke has limited his availability to the public with just a few tightly managed appearances. 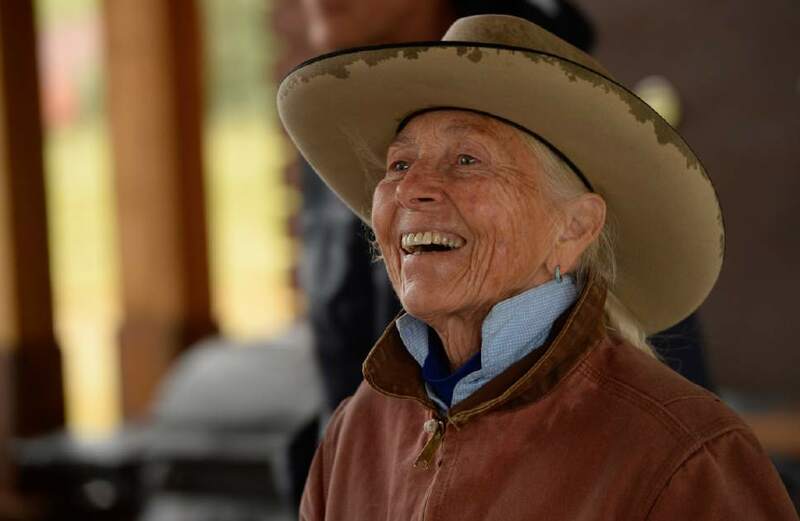 By contrast, his predecessor Sally Jewell held public forums and allowed members of the media and the public to join hikes last July as she explored the monument proposal advanced by five Native American tribes. Zinke&apos;s forays by air, foot and horseback largely have been choreographed by Gov. Gary Herbert&apos;s office and some pro-monument stakeholders complain they have been excluded. Utah Dine Bikeyah, the grassroots Navajo group who first developed the conservation proposal that led to the monument, was denied a chance to meet with secretary during his visit. "For centuries after centuries after centuries, Navajos and other Native Americans utilized this land. This whole United States was Indian country. There are less than 200 years that these settlers have been homesteading the prime lands and we are left out in the desert," said the group&apos;s chairman, Willie Grayeyes. "The monument is not to take residence up here, but to be mindful of how our ancestors utilized this pristine landscape as their supermarket, as their medicine cabinet, as their refrigerator full of meat." The Interior Department has set up a system for the public to comment on the monument reviews online. The secretary met with non-tribal Bears Ears proponents at Edge of the Cedars Museum on Monday. While there, he learned about the region&apos;s archaeological treasures, which monument supporters believe have long been abused by looters, vandals and off-roaders. People on both sides of the Bears Ears divide are concerned about rising visitation to Cedar Mesa, although they differ on how to address this threat. "The monument may bring more people who do not know how to tread lightly and do not know how to respect the resources, and they will come in and do more damage to the culture resources than was happening prior to the monument," said San Juan County Commissioner Bruce Adams. But Josh Ewing of Friends of Cedar Mesa believes monument status offers the best framework for managing visitors to the region, which has been discovered as a world-class destination, but has yet to be overrun like Utah&apos;s national parks. "Undoing the monument doesn&apos;t undo visitation. It has quadrupled over the last decade and with all this controversy, it has grown even more," Ewing said. "You can&apos;t put that genie back in the bottle. If you undo the monument, it won&apos;t keep people from coming. In fact, it will do the opposite." During a visit to a ruin, Zinke noted that there was no designated parking, restrooms or interpretive facilities to educate visitors on appreciating the fragile setting. "There are very little resources for monitoring what&apos;s going on. It&apos;s beautiful site, a decent trail, but there&apos;s no doubt pilfering has been going on," he said. "When the lights go out, who knows what goes on."